Banbury Police confirmed the arrest of two males at a town centre address. 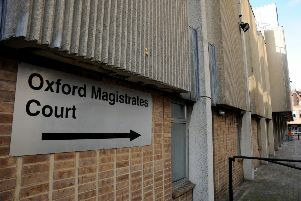 Yesterday, Sunday, February 10, Banbury Police's Tasking Team arrested two males at an address in Gatteridge Street. The men were arrested on suspicion of possession with intent to supply Class A drugs. Drugs and mobile phones were seized at the address. The arrests are part of the ongoing Operation Stronghold.